Techfrost has born in 1995, in a strongly developed context. 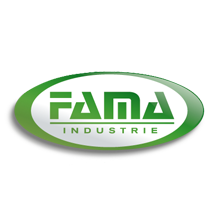 The membership to an industrial group, specialized in the metalworking since 70 years, made possible to have the necessaries skills for the realization of an efficient and durable product since the beginning. This knowledge allowed Techfrost to become the first company to produce a small dimensions blast chiller, able to reach temperatures previously possible only on medium-big sized machines. Our Company, even if in the market with one of the widest range of product, has been able to keep his flexibility and dynamicity: every single blast chiller is followed by highly specialized staff, from the beginning of the production to the moment when it’s ready to be delivered, from the assemble of internal components to the phase of his certification, which we make in a very detailed way. Cooperating with our customers for the research in every situations, has allowed us in the years to go ahead with a development that keeps going day by day, to be always able to offer new solutions and to satisfy any requirements of our customers. PASTRY : The blast chilling and blast freezing allow to obtain a new work system, faster and ideal for treating all the products from the raw and semi-cooked like croissant, bases for cakes, etc.) to the ones already cooked, also the most delicate, maintaining them fresh, exactly as just prepared. 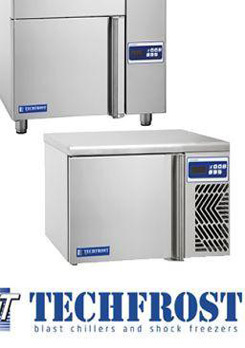 The blast chiller-blast freezers TECHFROST became a new workforce for your laboratory, increasing considerably profits and quality with rhythms of work definitely less stressful . ARTISAN ICE : Since many years the blast chillers and blast freezers TECHFROST increase the value and improve the production of artisan ice cream, ice cream cakes and cold desserts. Thanks to a research that puts first the requirements of the gelato masters, TECHFROST is successful in proposing instruments suitable for any laboratory. 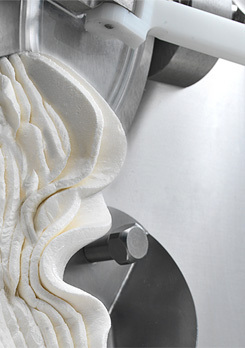 The fast blast chilling cycle guarantees the fast hardening and the perfect conservation of the ice cream specialties, with concrete advantages. CATERING: The inadequate cooling of the food just cooked is the main cause of illnesses and poisonings. The blast chiller TECHFROST reduce drastically the temperature of the foods blocking the bacterial proliferation of the product and avoiding the dehydration of the product keeping the organoleptic qualities. The fast frozen produces also the phenomenon of the micro-crystallization of the liquids present in the foods, keeps the structure of the tissues and maintains therefore the quality also after the defrosting and regeration process. BREAD-MAKING : The storage blast chiller TECHFROST opened new horizons and new markets to the artisan and industrial production of the bread and of the brioches. You can store uncooked food, partially or integrally cooked and leaved, keeping anyway the integrity and the fragrance. Also the storage blast chiller TECHFROST allow to pass directly the products from the oven to the fast freezing maintaining absolutely unchanged the natural fragrance of the fresh product also those partially or completely cooked. Vuakem, one of the best channels for selling ice cream powders, ice cream machines, coffee machines, bakery equipments, focusing on importing ice cream powders, ice cream machines, ice cream tools, coffee machines, ice machines, kitchen equipments from Italy, USA, Germany .. This is a story of great commitment and passion, the story of founders and staff who have dedicated their lives to search order to bring the valuable products to the customers. Vuakem is the address for ice cream powders, ice cream flavors, fruit pastes, topping, pure, sirup to make the best mixes of ice cream, ice blend, coffee, bakery and promote of the beverage solution and food. Vuakem is one of the best channels for selling ice cream powders, ice cream machines, ice cream flavors and pastes, slush machines, dispenser machines, coffee machines for all ice cream shops, coffee shops, ice blends shop, tea shops in Vietnam. Vuakem called King of Ice Cream (ice cream powder and machine). 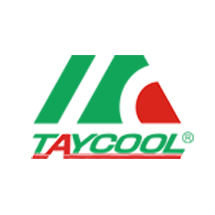 It's the address that every one can find out ice cream powders, ice cream machines, ice cream tools, coffee machines, ice machines, kitchen equipments made in Italy, USA, Germany, Taiwan, China ... etc. Developed since 2010 with many small websites in order to introducing all products to all customers in the Vietnam and the world. Firstly, we have sold for bigger companies they came from Singapore. After that, we started to be dealers and our main importers. Now we are the leading one-stop solution provider in commercial ice cream machines and ice cream powders supplying service for shops, restaurants, hotels, resorts in Vietnam. Now we have many channels for selling the products as www.vuakem.com, www.lacatta.com, www.gutato.com …in Vietnam's market with 2 companies such as PAFO Co, Ltd, and TADAVINA, Co.,Ltd. At PAFO Co, Ltd, and TADAVINA, Co.,Ltd, with a creative, skilled and experienced team devoted to their profession, our prime objective is to satisfactorily meet every single requirement of our esteem customers with cooperative and professional services. We always focus on selling for hotels, international fast food and restaurant chains to cafeterias, deli shops, food courts, ice cream parlors, convenience stores, bakeries and bakery production centers. With such diverse and established experience, we know the industry inside out, to give you the best products and professional service, always. Simple Is Quality ! It's our slogan ! We - Vuakem introduce all importing ice cream powders, machines, tools related about ice cream equipments, cofffee machines, ice machines, bakery equipments and instruments for ice cream shops, bars and restaurants, 5 star hotels. We disire to be the representative for the branding development, designing website, SEO products and branding co-operation within the Vietnam and over the world. 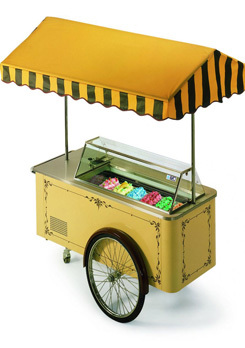 Buy ice cream poddwers, ice cream machines online with a fast, favorable way ! 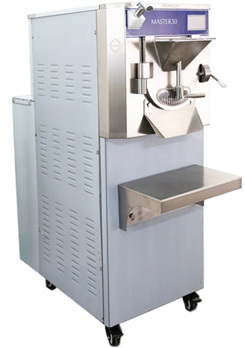 Soft or gelato ice cream powders and flavors; soft or gelato machines; hand mixers for ice cream shops, are our main products that we represent and distribute, sell for ice cream shops, ice cream makers. They are imported from Italy, USA, USA, Germany, France, Turkey, China, Taiwan... Vuakem is a interesting address, easy to find and buy! Sure! You can buy at home, at office and shops when you research in Google with related products to buy. Best products will be found out to buy in Vuakem.com! You will see our products with fast and easy way, in online! Access the website, read the information, see the products to buy, and then you can call, send email, click item Order inside the website for comfirm or advice free again. All your orders will be resolved quickly, you will pay before you can receive the goods! Our success depends on the trust of business, ready to serve you a week now! Our development principle with “Simple Is Quality” ! In order to supply best products in ice cream, bakery, beverages, and then we have built a selling channel for ice cream shops, coffee shops, bakery shops. Here they can buy best ice cream powders, favorite ice cream flavors, ice cream machines, tools for ice cream shops, created and developed since 2010 in Vietnam. With many surrounded websites run on all the PC, Mobile, Tabs… makes visitors enjoy each day, easy to find out the products when you need to buy, the exact maps to guide to purchasing address. Project of Vuakem.com has been developed by TADAVINA Co., Ltd.
Vuakem.com: Destination of delicious ice cream ! ‘Make delicious ice cream both of soft and gelato’, you will find out Vuakem.com, we will introduce detail each product with the exact origins, product videos for guiding in making ice cream, help you to soft ice cream podders, gelato ice cream powders, favorite flavors, even frozen yogurt, fat additives, stabilizered cream easily. Look for new products, read the information on brands that make ice cream powders, ice cream machines are so famous in the world like Rubicone, Fama, Cofrimell, Innova, Techfrost, La Pavoni, Essse, Camardo, Tecmach, Taycool, Vitamix, ISI and other brands. 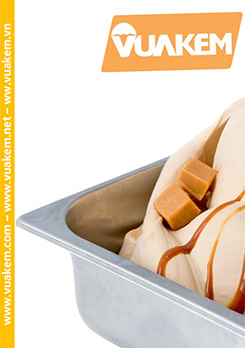 Vuakem.com is the address to introduce and distribute all products about ice cream powders, ice cream flavors, ice cream machines, raw beverages that all customers can find out, search, rate, comment on products of gelato ice cream, soft ice cream, ice blend. Vuakem.com always focus on advance products made in Italy, USA, Australia, Germany, China, Taiwan …for high market, long term investors, high class luxurious customers. Vuakem.com always lead in the ice cream supliers, prioritize the quality of the goods and after sales services. Vuakem.com suggest more online shopping benefits! You can choose all products in suggested items, check more in home page, the the detail pages in a easy way wherever you are, look at the top of website with Google translation to see more languages that you need to read like English, French …that Vuakem.com support. You should pay before we deliver for you, we will guarantee free delivery. If you buy more, you will get more discount. 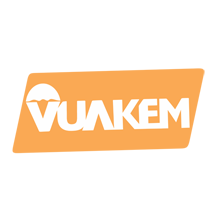 If you are our regular and friendly customers or joined to study at Vuakem.com, you will get more our good policy.. Sure we will get a return if the customers are not satisfied of the goods..
Vuakem.com: share Experience through our sales channels.